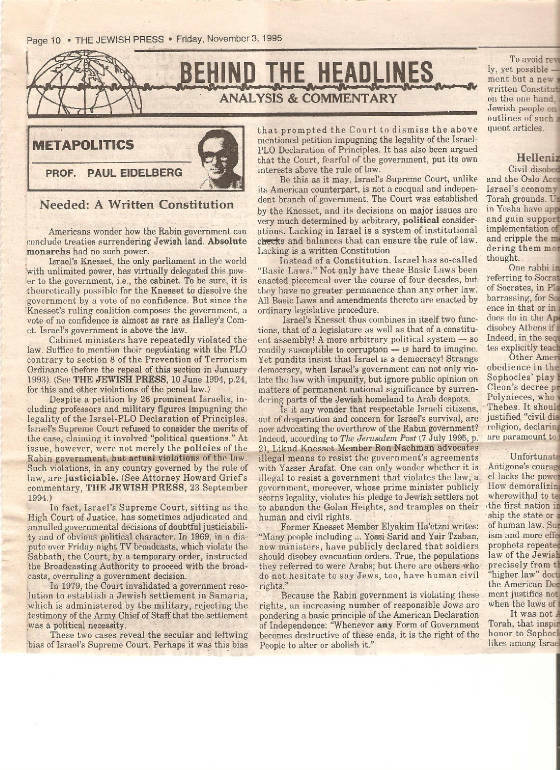 Article inciting for overthrow of Rabin government was on newsstands in New York and Jerusalem in the days leading up to the Rabin assassination. 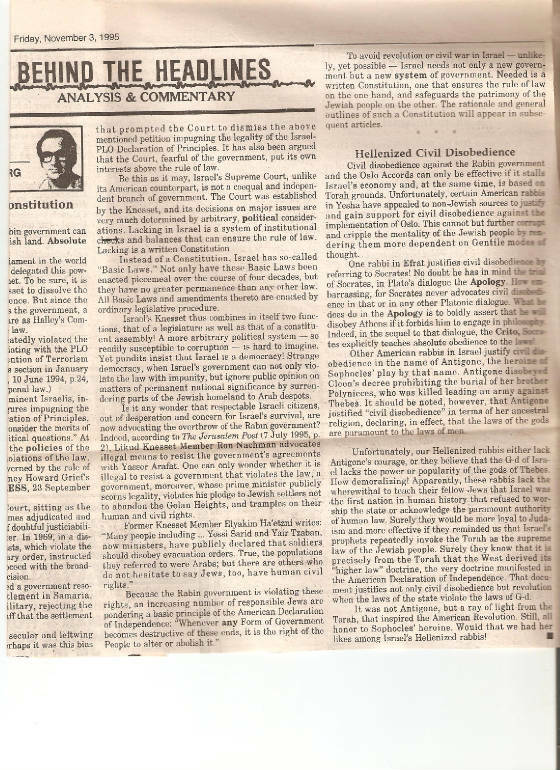 The Jewish Press editors removed Eidelberg's usual byline as Professor at Bar Ilan University just weeks before on the unconvincing grounds that he was on sabbatical leave. The assassin attended Bar Ilan University. What marveous conincidences!